Think of the strongest, happiest, most confident person you know. Notice how secure they are in their identity. They do not go through life adapting their personality to win praise, friendship, or acceptance. Now consider the opposite. Have you ever noticed how some people seem to adjust their opinions, humor, even body language and facial expressions, to suit the company they keep? Of course, everyone does this to an extent. Most do not behave in the same way at a funeral as they do when drunk with friends. But going through life pretending to be someone else is not only pitiful, it is also dangerous. 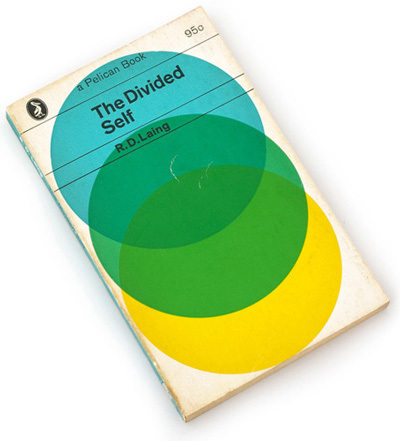 In 1960, the British psychiatrist R. D. Laing published a book titled The Divided Self in which he offered a new way of understanding how schizophrenia develops. Laing argued that some people have a very weak sense of self, others never develop this sense in the first place. Because of this, such people fear being overwhelmed by stronger personalities who seem almost to consume or, to use Laing’s word, “engulf” them. People who feel this way soon develop a series of false selves or masks as a form of defence. Gradually, their real self suffocates and a schizophrenic breakdown occurs. You cannot be yourself until you know who that self really is. But in order to know yourself, you must challenge yourself. Get out of your comfort zone and try new things, especially things that scare or intimidate you. How about taking karate lessons? Have you ever travelled abroad on your own? War veterans often say that, in spite of the horror and suffering, they benefitted a great deal from the experience because they found out who they really were and what they were capable of. Once you have developed this new self, you must live it. If you hitchhiked around South America for two months and discovered just how spontaneous and carefree you can be, do not slip back into your old patterns of behaviour when you return. Many people discover a whole new side to their personality but then find others resent the change and either ridicule them or accuse them of acting. Most people have been there at some point, just arrived at a party, or sat round a dining table, rigid with fear and discomfort, unsure what to say or do. At times like that, many people ask themselves “what do these people want from me? How can I please them? How can I get them to like me?” They then shape and adapt their conversation to suit the company. Resist this urge. Be friendly and polite but do not adapt your personality to suit others or expect them to adapt theirs to suit you. In general, the more confident, secure, and intimidating other people are, the greater will be the temptation to adapt. But never forget that people can sense when you are acting, and they don’t like it. Few sights are more pathetic than a loud, bullying alpha-male surrounded by sycophants who laugh at his jokes when they don’t find him funny and join in when he is an oafish bully. Being yourself means holding your nerve. It demands courage and persistence. After all, not everyone will like the real you. Rejection is hard to take at the best of times, but when you feel it is the true, authentic you that people dislike, it is even harder. The key is to remember that you cannot please everyone. All human relationships, whether with friends or partners, rest on an indefinable chemical magic. Sometimes personalities clash. You will always encounter people who take a close look at you and dislike what they see. Remember, you are not alone in this experience. Oscar Wilde once joked that at every London dinner party there was at least one guest who resembled a soft cushion. In other words, just as a soft cushion retains the imprint of the last person to sit on it, so a weak, characterless individual molds and shapes their personality to fit those with whom they talk. Some people take “being yourself” to an extreme. But being authentic should never be confused with seeking out arguments. You don’t have to be antagonistic in order to be yourself. It does, however, require courage.